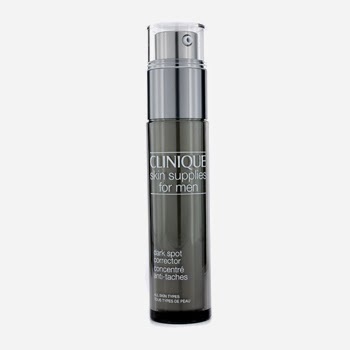 Boys there is no excuse for a poor skincare routine and girls if you're sick of your other half stealing your products then check out what Clinique has to offer. We don't wish to tar every guy with the same brush however we know that a lot of guys don't like to faff about with multiple products or require too much information on their products. Clinique have definitely got their packaging right. Grey, has 'men' written on it and says what it is. The French translation wouldn't even get read in our house though! All of the products are not particularly scented so they will suit all scent tastes. There are the standard products you would expect in a skin care range but we wanted to show you the stand out different products in the line up. Water based lotion packed with soothing Aloe Vera, Witch Hazel, Sweet Almond oil and Marshmallow extract. 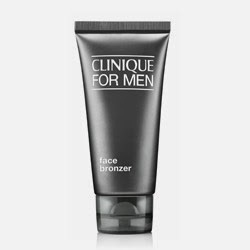 Apply gently to shaven skin to sooth razor burn, aid moisturisation and reduce inflammation. The Witch Hazel also helps to suppress any bleeding so no more walking round the house with toilet paper stuck to your bleeding chin! This may tingle slightly as you would expect after shaving. 75ml is £18.00 and you must follow this with a moisturiser. Gel texture lotion perfect for those suffering from pigmentation marks, acne scarring or sun damage. Also helps to reduce ingrown hairs. Mulberry extract helps reduce the production of melanin which is what skin produces when we tan, Tumeric extract will help to lighten scars and grape seed will give collagen a boost increasing skin repair. Can also be used on chest or back scarring also. Use this after cleansing and before moisturising. 30ml is £40 so not cheap but if scarring is a problem then it's definitely a good product to try. Women have the luxury of adding colour to their face through makeup and fake tan where as men tend to get a bit of grief if they are caught with a bronzer in the wash bag. This oil free lotion is tinted so you can see it as you apply it. No sneaky tan development (Ross from friends comes to mind). After moisturising blend a tiny dot of this into your moisturised face and be sure to take it down onto the neck also. You can even squeeze a tiny amount into your palm and mix with your moisturiser to make sure it blends in. Avoid eyebrows and hair line and if you are wearing a white shirt make sure it is dried before you dress. In fact if you are wearing a white shirt I would probably avoid this product! One dot of this gives a lot of colour so go easy if you are particularly pale. This is as much as you would need for a natural sun kissed look. Don't forget to wash your hands afterwards to avoid being rumbled as a fake tanner! I never think about mens skincare ! But this is such a great post! I think men need that extra push to use skincare and I think this range will be great in encouraging them! 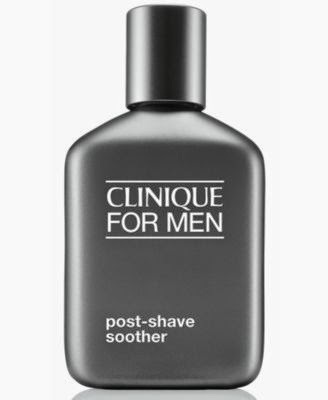 Love this post, I was looking to get some men's skincare for my boyfriend and now I think I know what to get him! Would love to hear your opinion on other mens' healthcare products, especially Biotherme products (Aquafitness and others)... sorry for the double post. I love this clinique range. Since using it I do not buy anything else now.